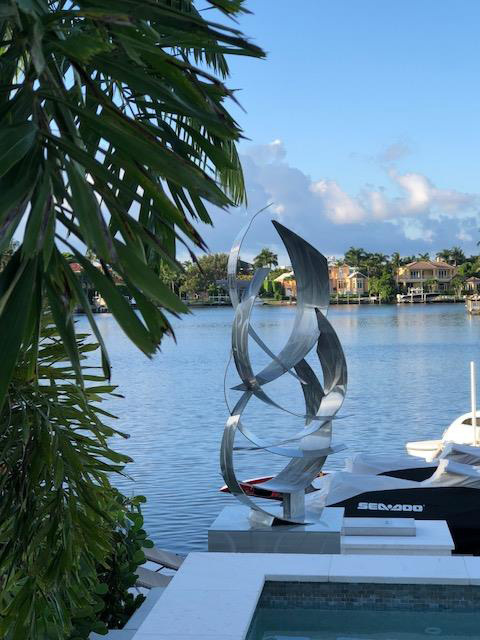 Inspired by the elements, Dustin Miller creates dynamic sculptures, that are durable and perfect for indoor or outdoor settings. 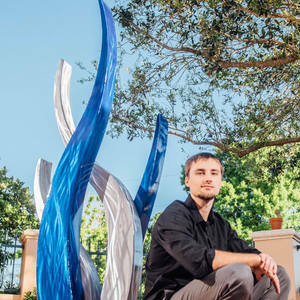 Dustin has created works that are on public display around the country, and also he has created a number of sculptures that take pride of place in the collections of private art lovers. Working on both smaller and larger pieces, Dustin’s work is visually striking, and creates a real impact with the dimensions that it works in. The mix of compelling colors and the sense of movement in each of his pieces will really capture your imagination. We wanted to learn more about what inspires Dustin, and how he became a professional artist. Dustin Miller – Metal Artist/Sculptor of Abstract Metal Design. Being artistic and creative was part of my surroundings growing up with being influenced mainly by my father. We were always hands on making art, creating with wood and automotive customs. After deciding to pursue something I was passionate about for a living, I combined my web/graphics knowledge experience from past jobs along with trade skills and passion for art to start creating/selling my metal sculptures. The flexibility to be creative and do what I love, while still challenging myself to go above and beyond for my clients so they get an exclusive experience from my work for years to come. Selling my work and consulting with my clients online directly in a way that is beyond the traditional way to sell art. My work is not displayed in any brick and mortar art galleries at the moment. I consult with and sell my clients directly to create for them exclusively. You can only purchase my work through me at Abstract Metal Design. Spending time being silly with my wife Ally and son Dane. I also lift weights and golf, both good for the body and mind. Do what you love, there isn’t time for anything else. Trust God to lead you to where you belong. You don’t belong doing something you are not passionate about for a living. I specialize and enjoy large scale sculpture the most. But I also create small scale sculpture, wall sculpture, artistic signage and fine awards. Anyone who can appreciate my work. I work for homeowners, developers, designers & more. I am unique and you can’t get these designs from anywhere else in the world. 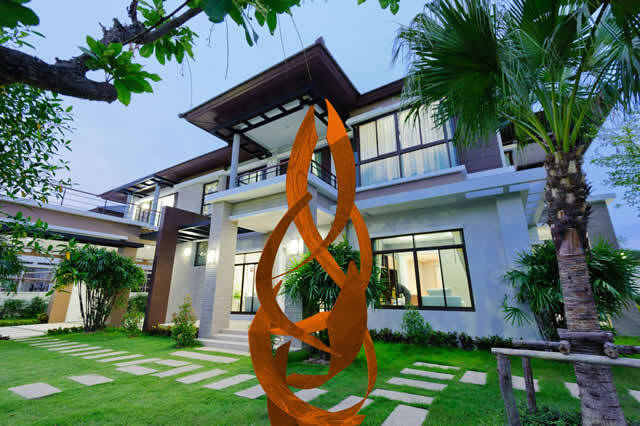 My sculptures make a statement and enhance spaces in a fresh way. None of my work is flat, it’s all about dimension. Hate is a strong word, but sometimes it is difficult to stay disciplined to create the same designs several times over and over. The prep work with metal can be pretty monotonous. I want help and to have a public gallery/work space. Creating sculptures that grab people’s attention and catches the eye no matter where it is. My goal is also to create work that can relate to the elements of the earth in a modern/contemporary way, fitting it’s surroundings. If you are interested in being interviewed for The Hive, our digital magazine, please contact us at thehive@buzzazz.com. If you have an idea for an article or would like to write for us please send your information or idea to the same email address.